If you have a Hotpoint dryer that does not dry your clothes completely, it may need a new heating element. Before buying a replacement heating element, clear out the lint trap and run the dryer for several minutes. If the air inside is not getting warm, the heating element is probably defective. Follow these steps and you will have warm, dry clothes again in a few minutes. Unplug the dryer before opening any cabinets or panels. Use a screwdriver to loosen the metal clamp that holds the vent hose on the back of the dryer. Remove the hose from the fitting by wiggling it back and forth until it slides off. Locate the heating element cabinet on your Hotpoint dryer. This is usually on the back of the dryer, but some models may have it in the front instead. Loosen any screws or clips securing the compartment panel, and remove the panel to access the heating element. Disconnect the element wires with needle-nose pliers. Find the cylindrical metal object that covers the heating element. Tilt the cylinder backward and slide it off the retaining hooks. Loosen the screws and remove the heating element. Install the new heating element and tighten the screws. Slide the metal cylinder back onto the hooks and tilt it forward until it locks into place. Connect the element wires to the new heating element. Replace the compartment panel cover and tighten the screws or clips. Attach the vent hose to the fitting on the back of the dryer and tighten the metal clamp. Plug the dryer back in and let it run on high heat for 10 to 15 minutes before placing any clothes in it. New heating elements often have an oily buildup that makes clothes smell like smoke. 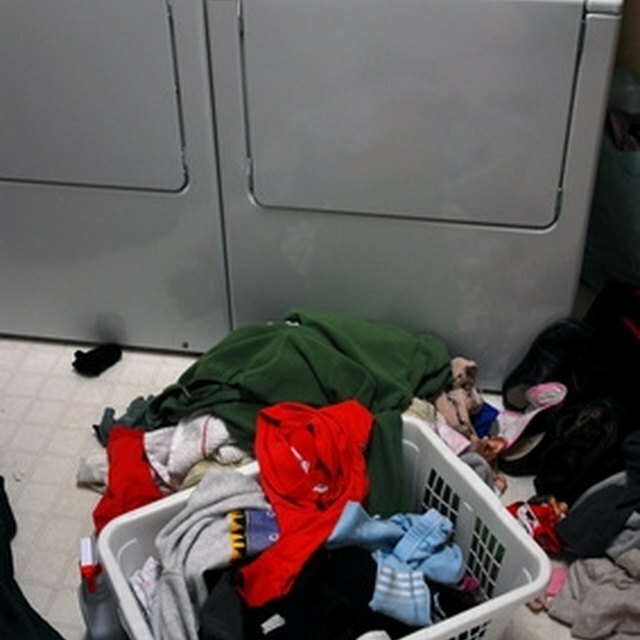 Running the dryer for a few minutes will burn off this residue, making your Hotpoint dryer clean and ready to go. What Causes a Dryer to Burn Small Holes in Clothes?